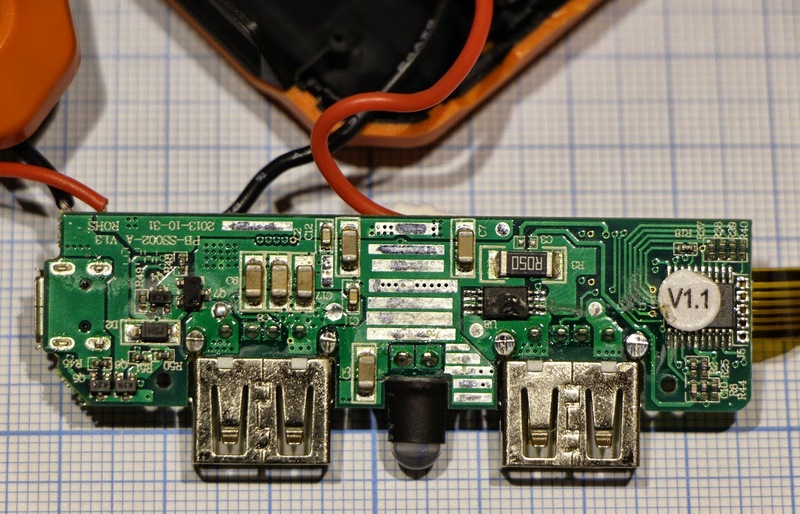 Upgrade of the display - installation inside FPV receiver, LiPo battery and battery charger. Originally bought it to monitoring video on the camera Canon 650D, as well as to configure the server hardware. At display a good resolution for this size, IPS matrix with wide viewing angle and good color rendition. 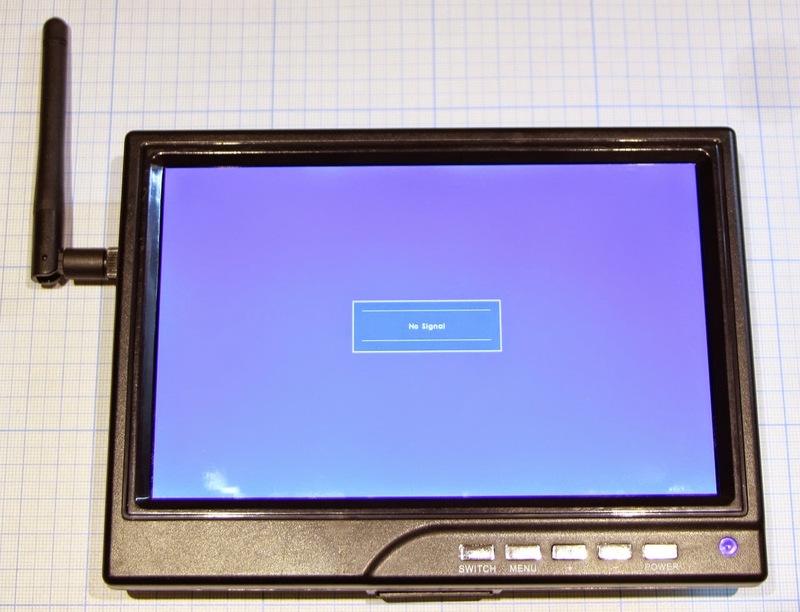 The display can operate in a wide voltage range of 5-30V DC. (works from a pair USB outputs of computer). I often use it in a mobile environment powered by an external battery. 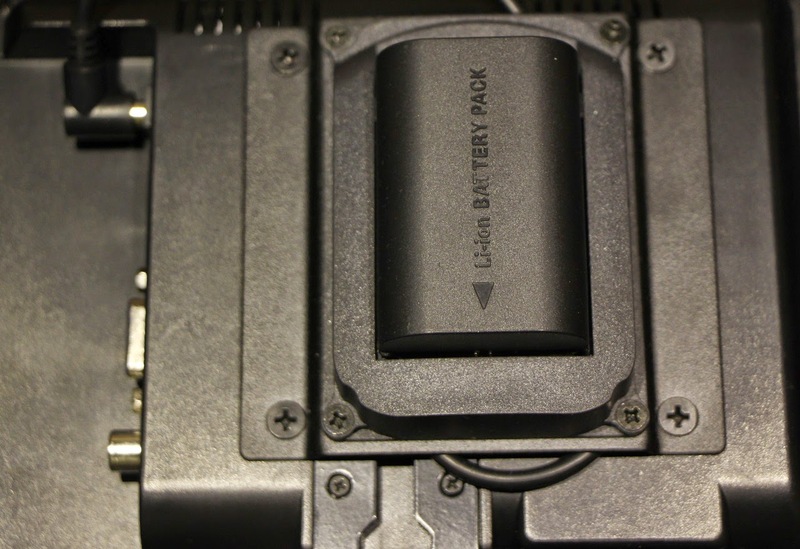 To do this, set on the back cover display mount VESA 75x75 battery from Canon 60D (LP-E6). 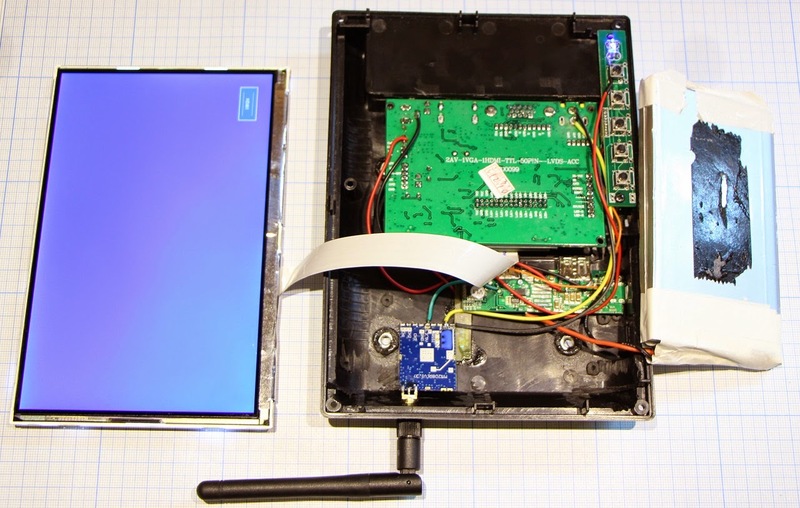 But this solution has drawbacks: it is necessary to use an external charger, battery capacity is enough for about 40 minutes, necessary to disconnect the battery, because in the power off mode, the display consumes a lot of energy, battery module increases the thickness of display twice. Now decided to use this monitor also in the FPV system for RC cars. 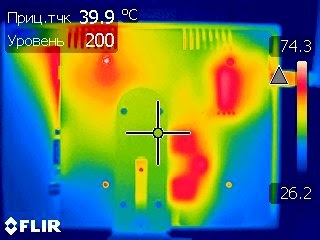 The first thing that did not like the large wire connectors on the receiving side, and another receiver heats up significantly. 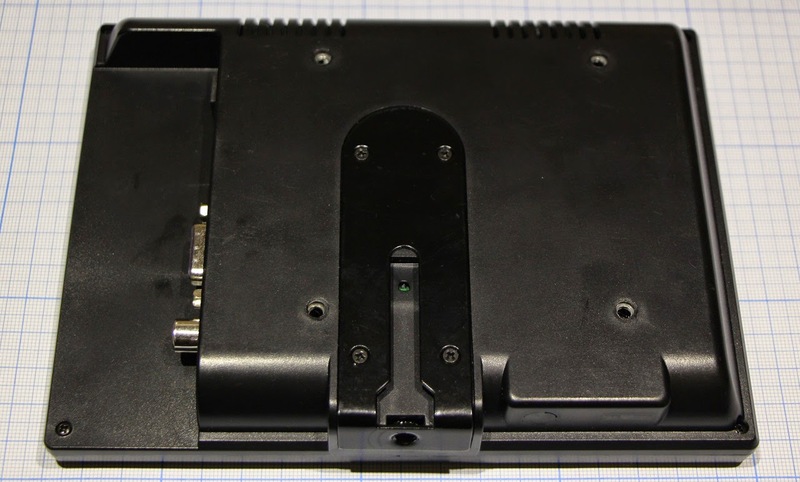 Receiver on the photo from below, he is already no external aluminum housing. Disassembled receiver see that it consists of a standard receiver module (small PCB in a metal screen) and soldered on the baseboard connectors and voltage regulator. Stabilizer helpful 5V linear type, i.e. above all required power that goes into heat , this resulted in the high heat. Current consumption of about 200mA. But in the transmitter uses a more modern switching regulator power supply. 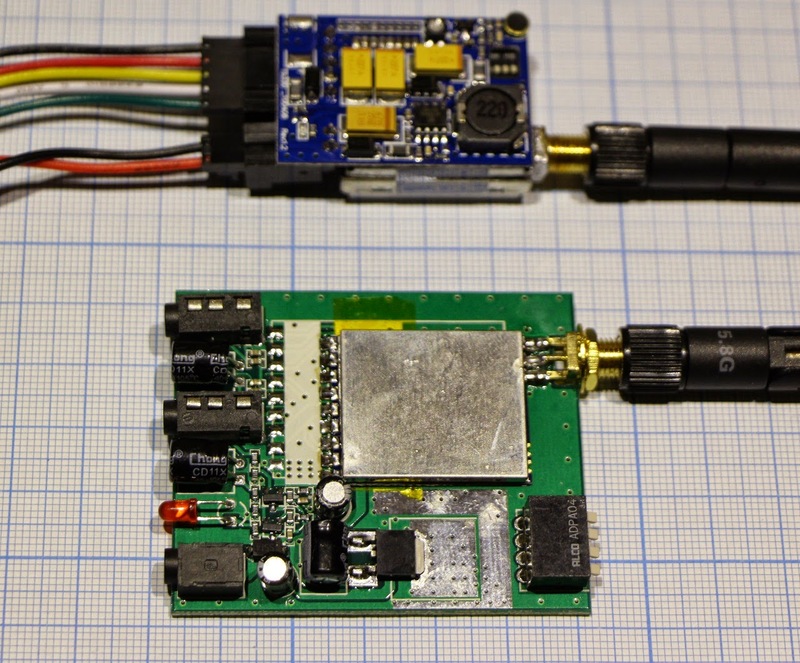 Standard receiver module can be powered in a range of 3.3-5V. 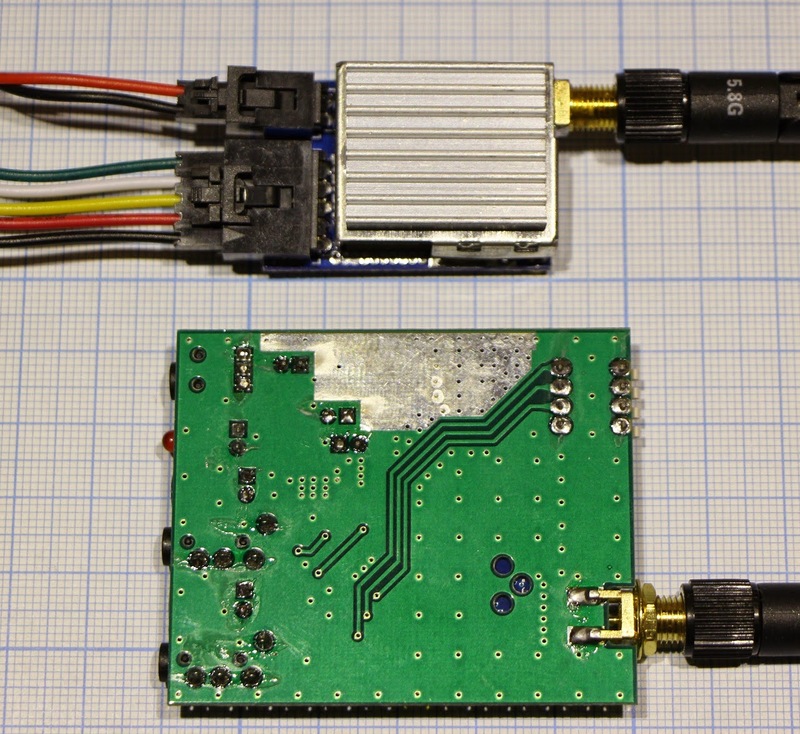 The receiver module is easy enough to unsolder. 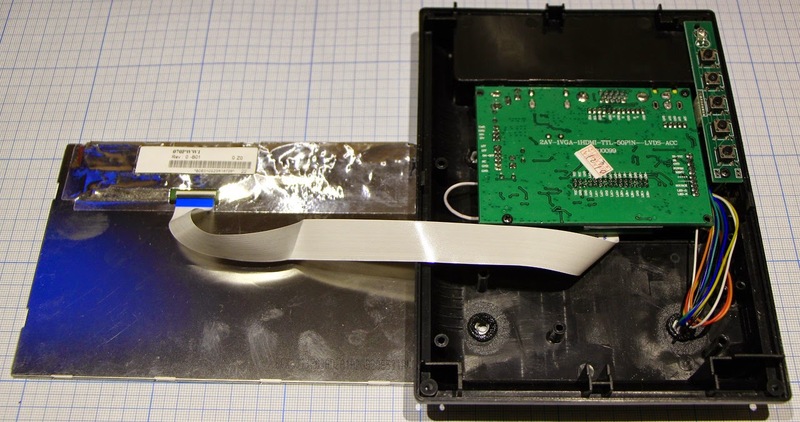 Carefully insert a thin knife or screwdriver between the baseboard and the receiver module, and then unsolder the antenna and raise a little module. Next is a hand neatly lift the module, and a soldering iron to warm the remaining contacts. I used a soldering iron to 100W with a sharpened tip wide. In the display case were a lot of free space. 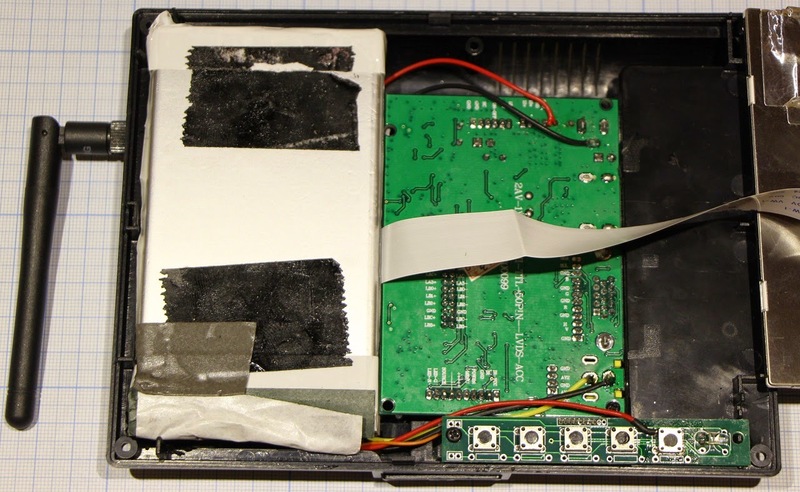 I decided to put there the receiving module, and another put inside the battery and charger to it. 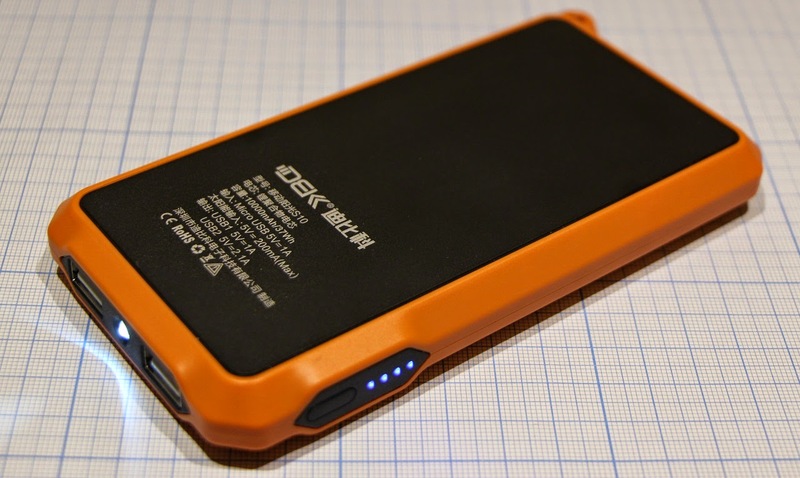 In order not to invent a bicycle to control the charging / discharging LiPo battery decided to use a standard device Power Bank for charging mobile devices. Why solar battery - usually all Power Bank recharge via USB connector, and I would like to make a more universal solution. 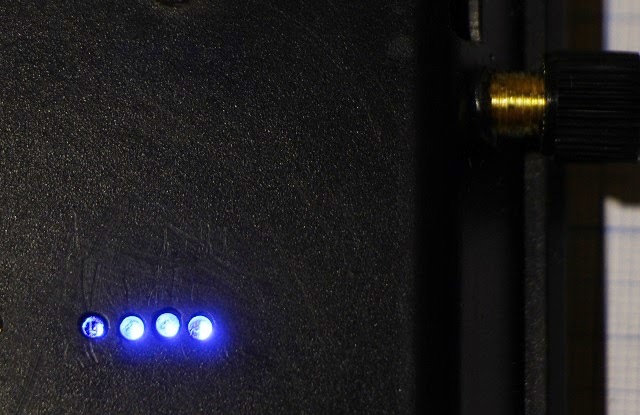 Charge can be with a USB connector and the standard power connector on the display using an external power supply. 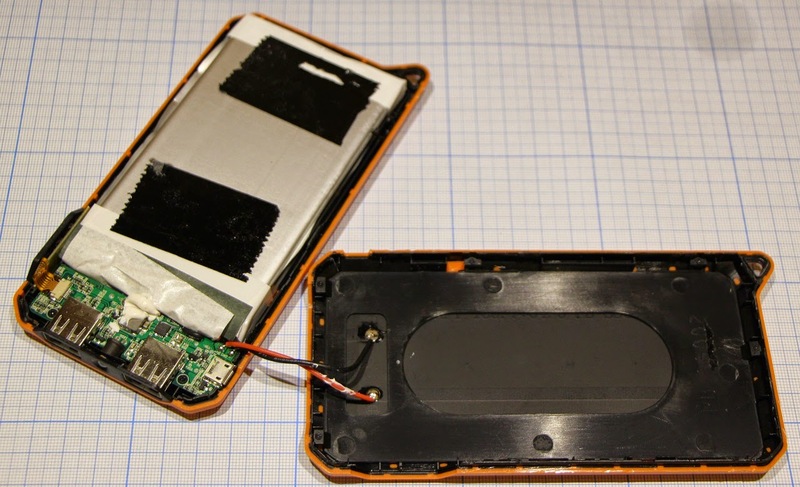 To begin disassembled Power Bank, the insides fully met my expectations. I must say that even though the device and the Chinese, but the body and stuffing are made soundly. 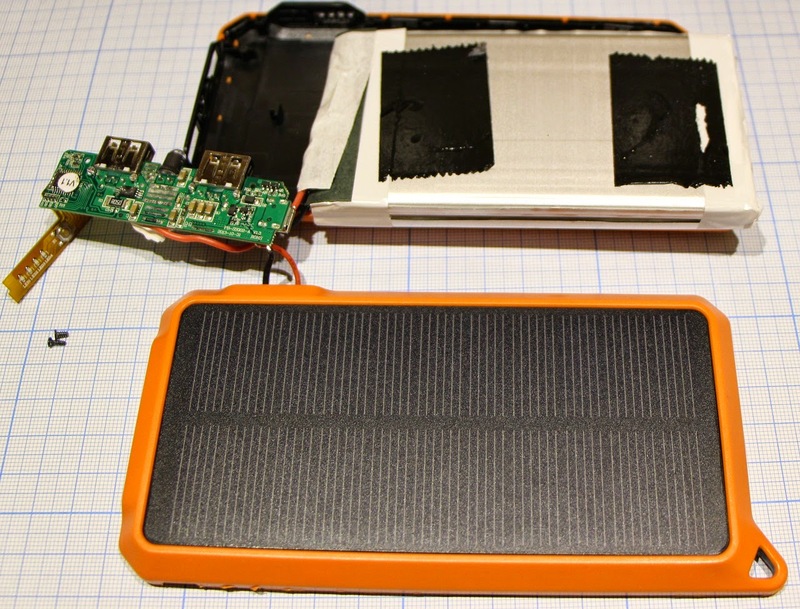 LiPo battery pack consists of two flat rectangular elements. The label indicated voltage only. The elements are connected in parallel. 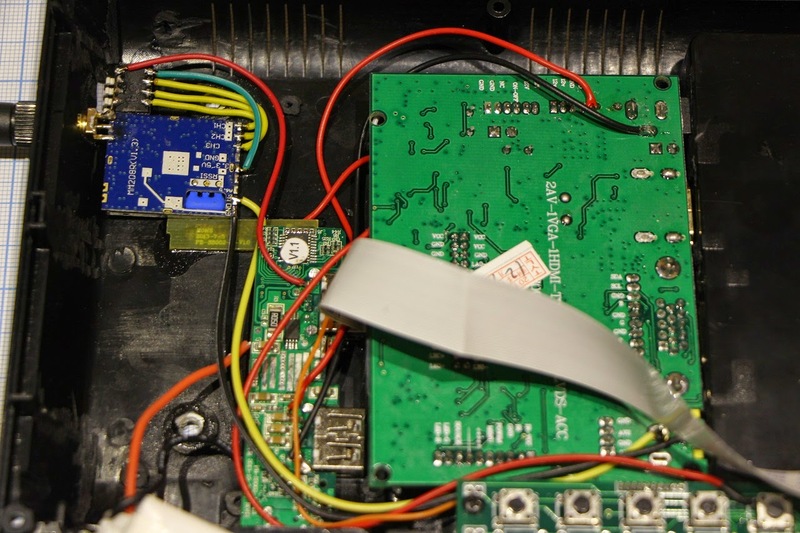 Wires are connected through a small PCB with a protective controller. 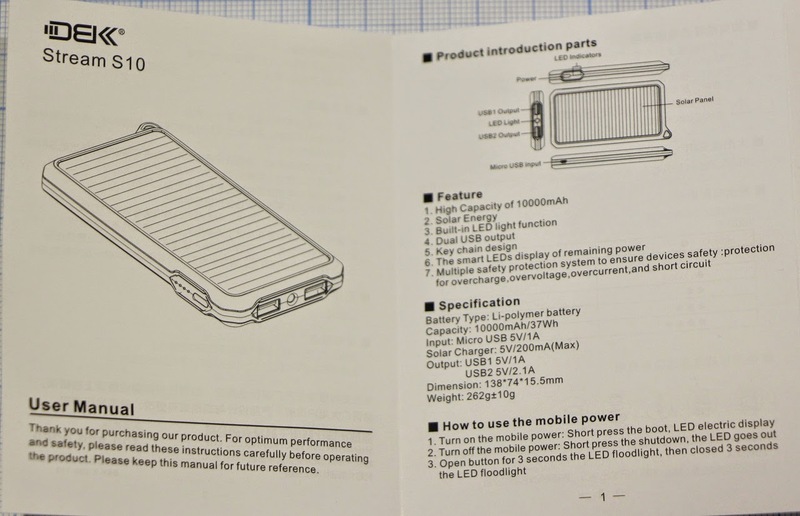 First of all decided to check battery power, because in such devices is often claimed characteristics are untrue. Unsolder the battery and connected it to an external charger. Charge and discharge current of 2A, the capacity was slightly above the nominal. Was surprised that it meets the listed capacity. At first I had to take a manual mill Dremel with cutting wheel and cut a different plastic fixing elements in the compartment, which will house the receiver, the controller battery and the battery itself. 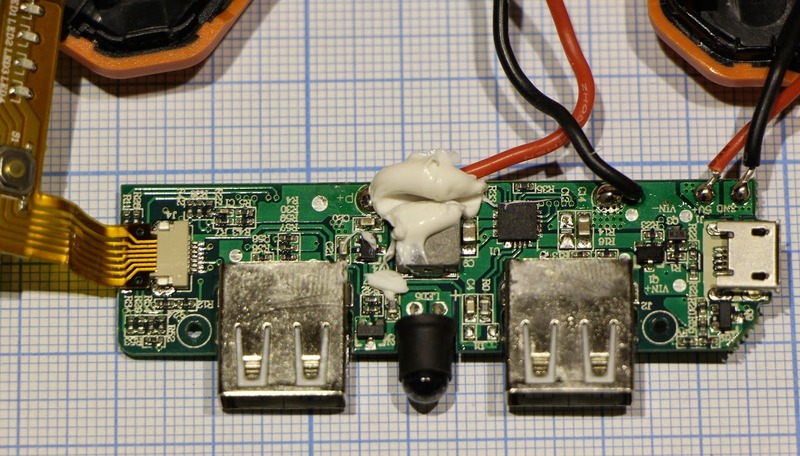 From the display board must unsolder input filter choke, the one that immediately after the power connector, instead solder the positive wire from the output connector on the USB 2A battery controller. 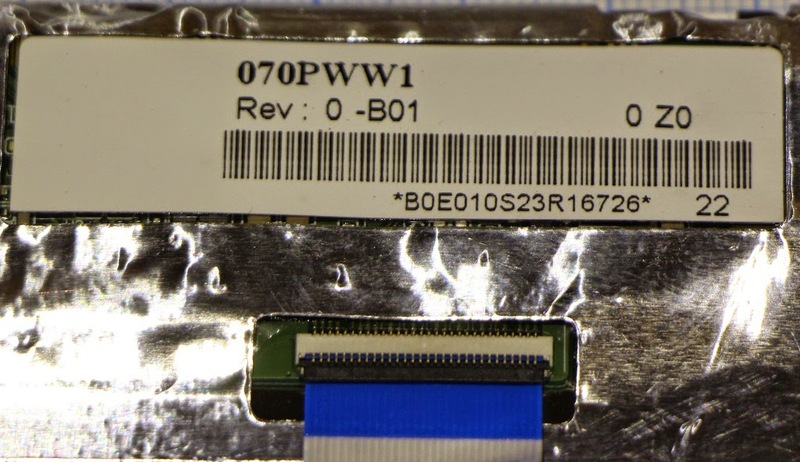 Wires are soldered at the joints USB connector board. 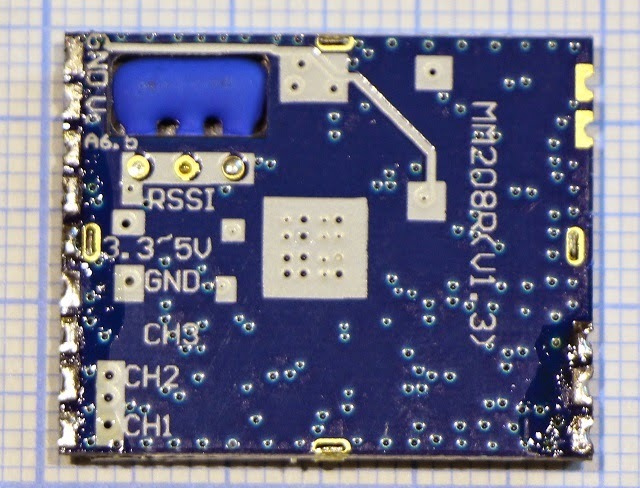 On the second USB connector (1A) soldered positive input of the receiver. Ground wire also soldered to a ground of display. 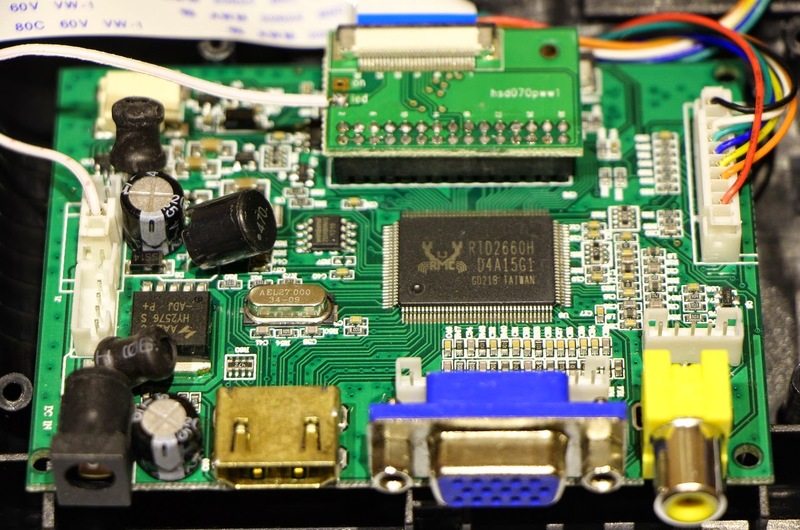 Video output of the receiver to the RCA connector center pin. 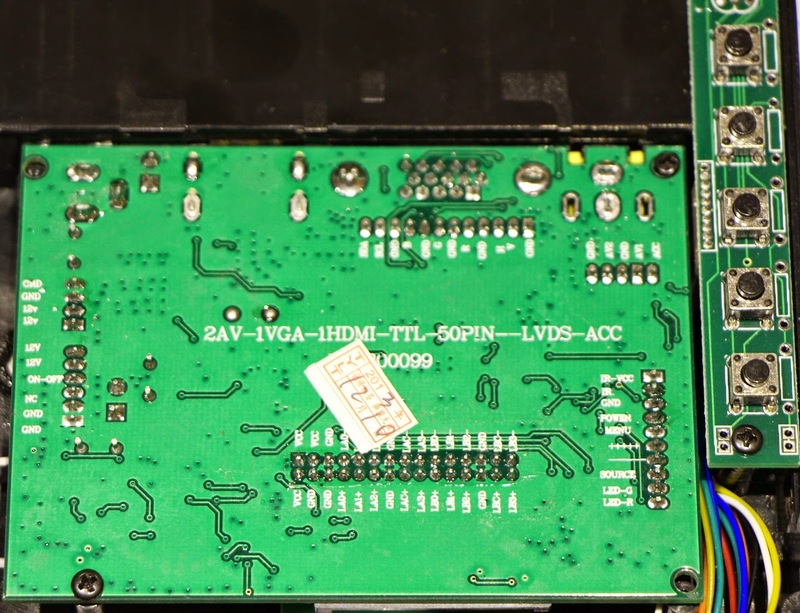 Of the receiver board unsolder four sectional radio channels switch, it glued near the antenna and connected by wires to the board. To switch the radio channels need three sections. They must connect over switch to the ground (such as body antenna connector). Fourth section used to turn on the radio receiver module. It consumes about 1W of energy, and it's a lot when on battery power. 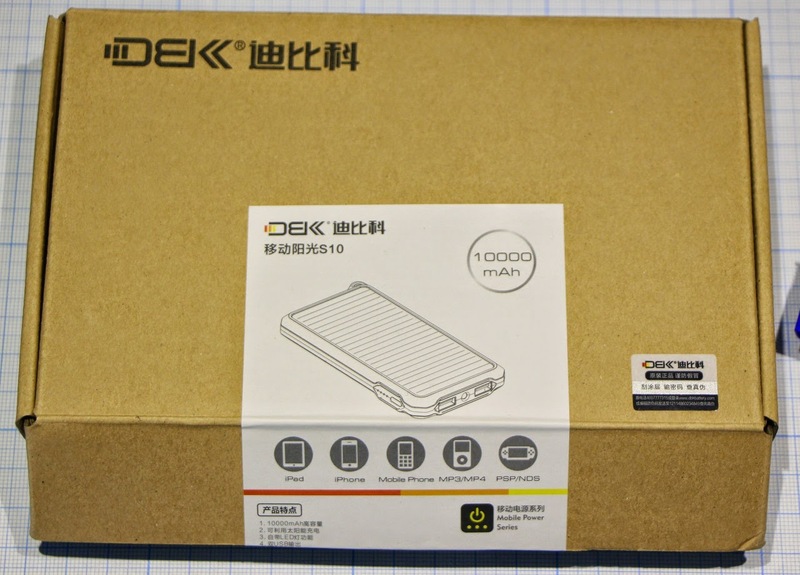 Power Bank has a power button, and along with an LED charge level scale. On the back cover drilled small holes for the indicator capacity and glued this flex cable by superglue. Battery charge controller USB connectors glued to the back cover. 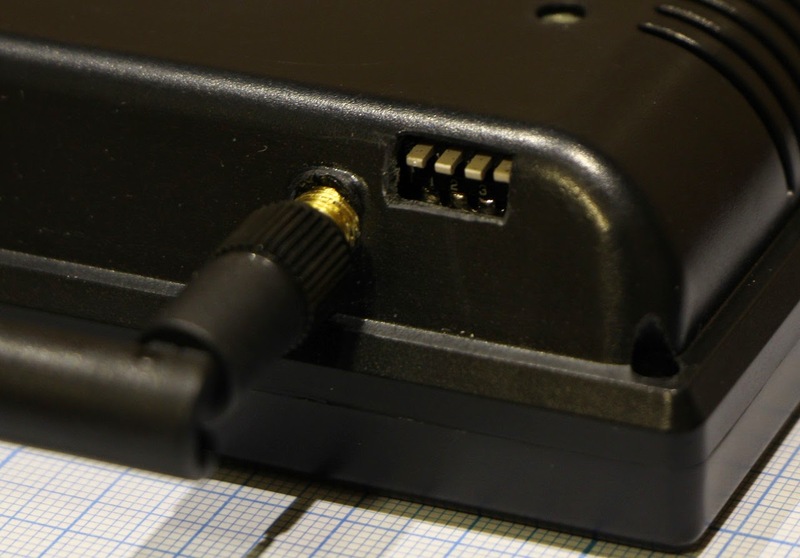 Mini-USB connector for charging comes from the bottom of the monitor. Everything is very tightly packed, no free space left. There is a small drawback - the battery significantly displaced the center of gravity. Total weight is - 500g. Display warm enough while working at some points the temperature around 55 degrees Celsius. 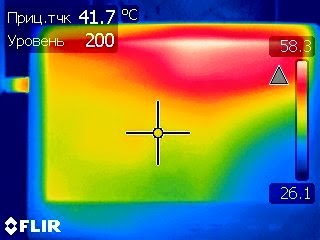 On thermal photo shows the main places of heating: top of the matrix (matrix controller), receiver module, battery controller, display voltage regulator. 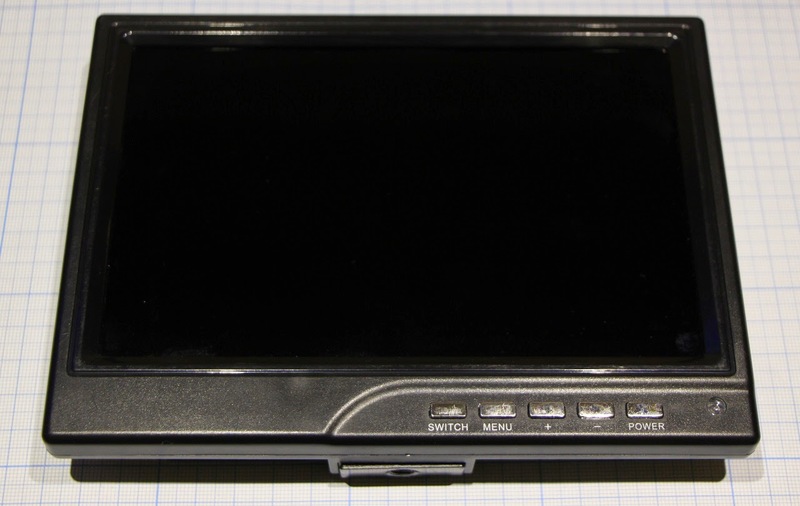 But it does not have a battery, and even TN matrix with a low viewing angle.